Robotic Process Automation (RPA) is a technology disruptor. 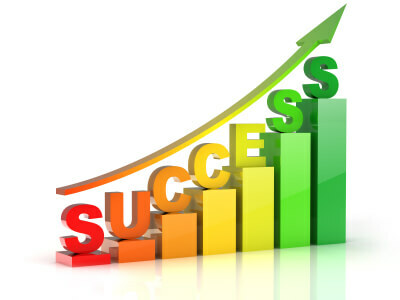 It emulates repetitive and transactional administrative tasks, which are rule-based. Just a step behind Machine Learning and Artificial Intelligence, RPA by itself is a game changer. With Robotic Process Automation (RPA) expected to disrupt front to back-office operations significantly over the next 12-18 months within an array of industry verticals i.e. Recruitment, Manufacturing, Utilities, Banks, Financial institutions and many more, the early implementation experiences are enabling providers like JifJaff to define best practices. RPA projects are very different from IT projects, as we now work with the business/operations team directly to build an automation solution. The methodology and best practices that apply to IT application development projects do not directly apply to RPA projects. We have compiled a lessons learned from implementations, pilots, and a knowledge of what works and what does not. We believe this will help minimize the risks and pain in your RPA journey, and help you realise the potential of RPA. 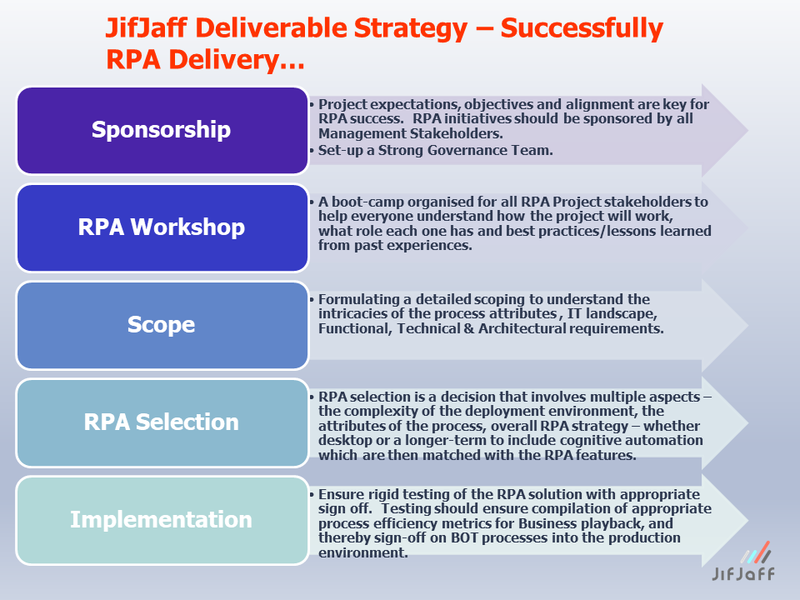 The diagram below illustrates some of the fundamental milestones for successful RPA delivery.